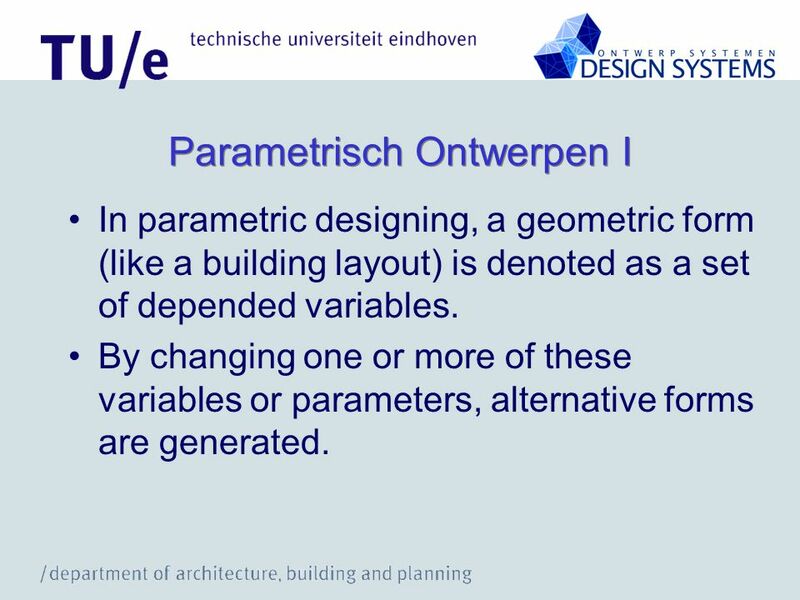 In parametric designing, a geometric form (like a building layout) is denoted as a set of depended variables. 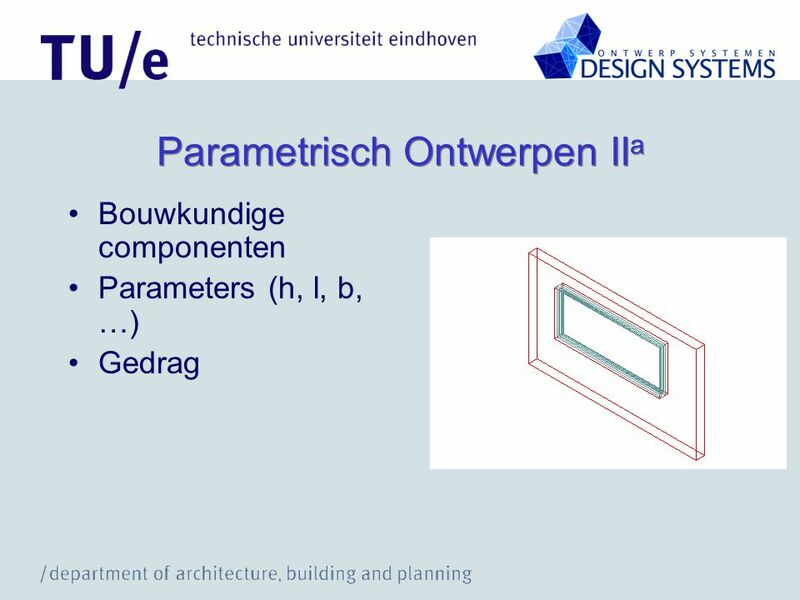 By changing one or more of these variables or parameters, alternative forms are generated. 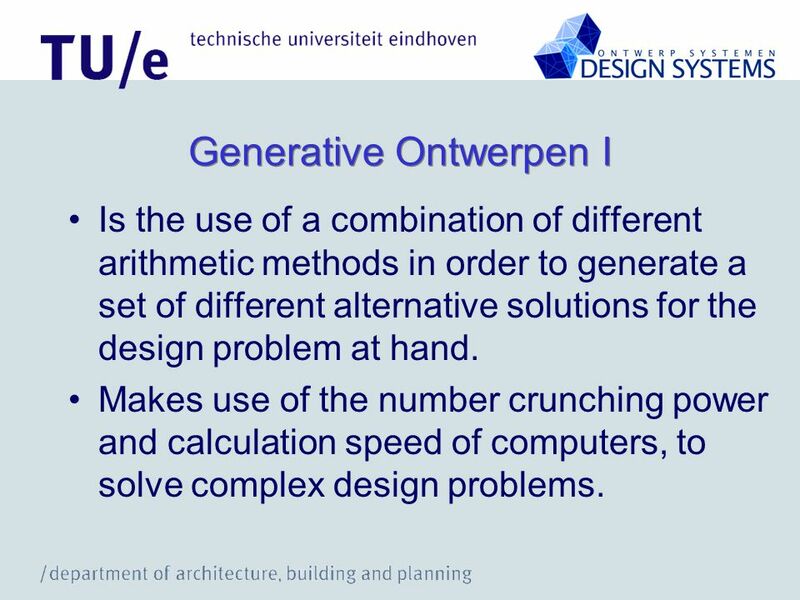 Is the use of a combination of different arithmetic methods in order to generate a set of different alternative solutions for the design problem at hand. 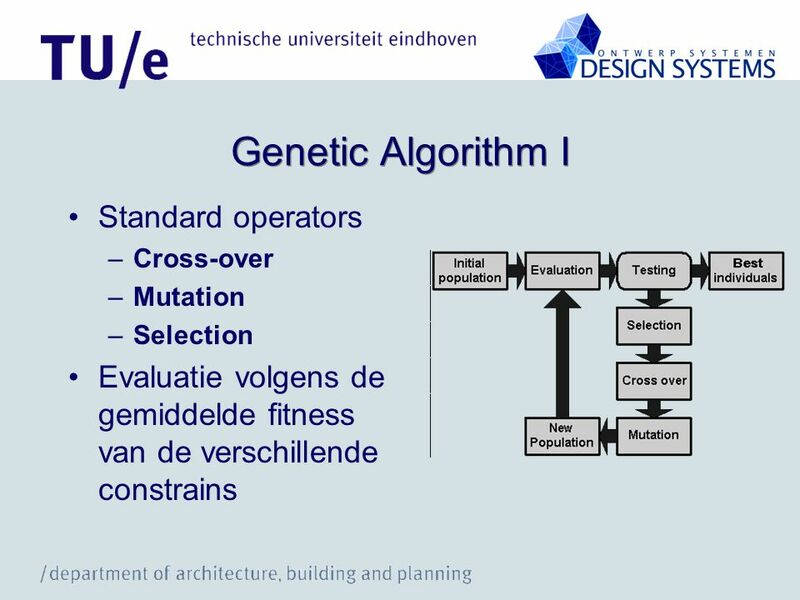 Makes use of the number crunching power and calculation speed of computers, to solve complex design problems. 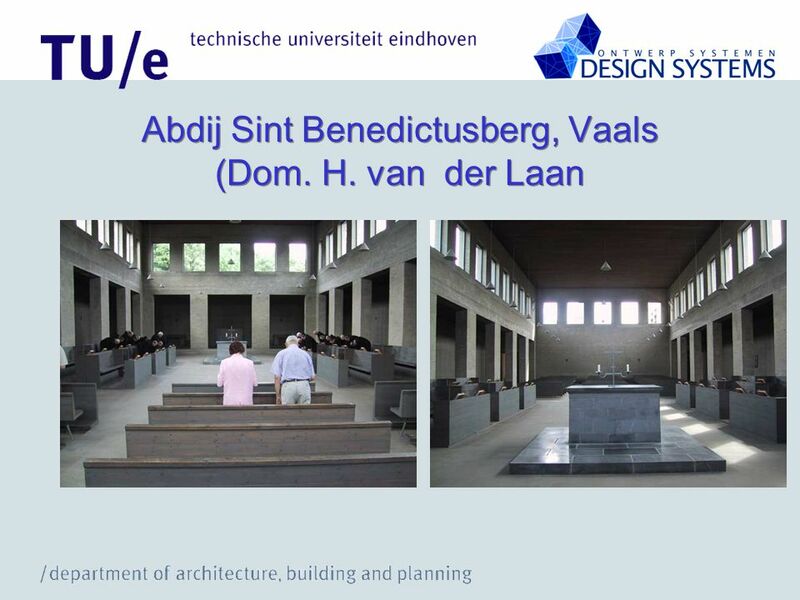 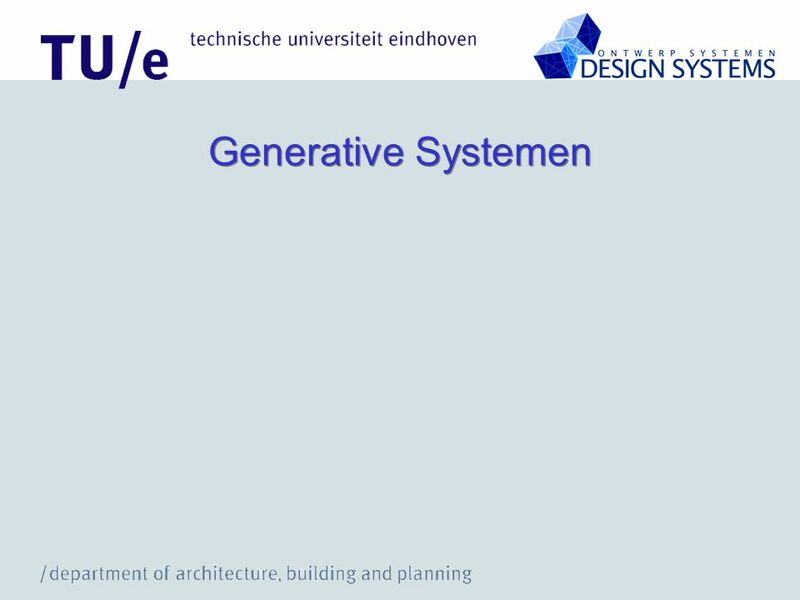 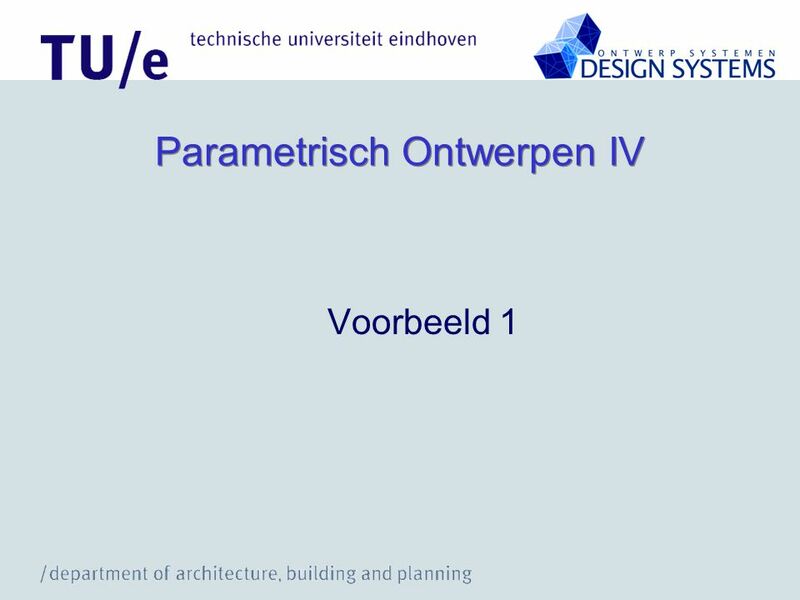 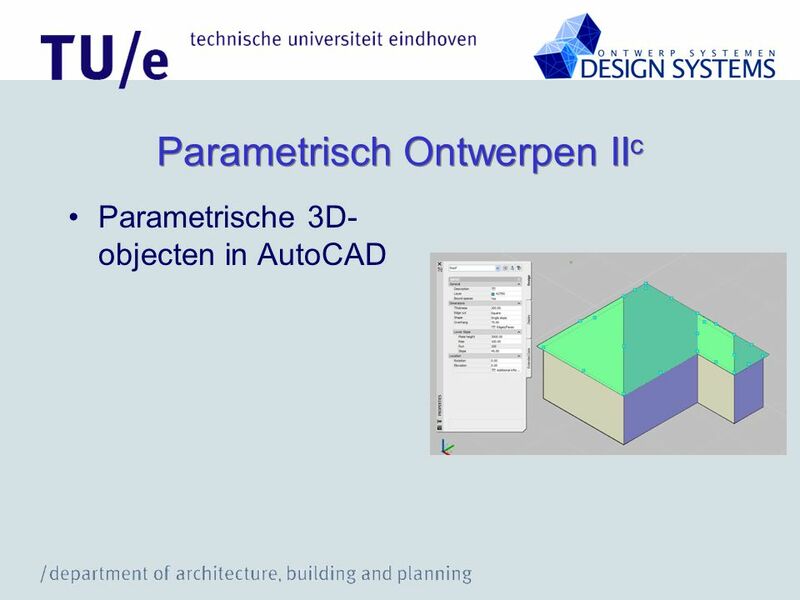 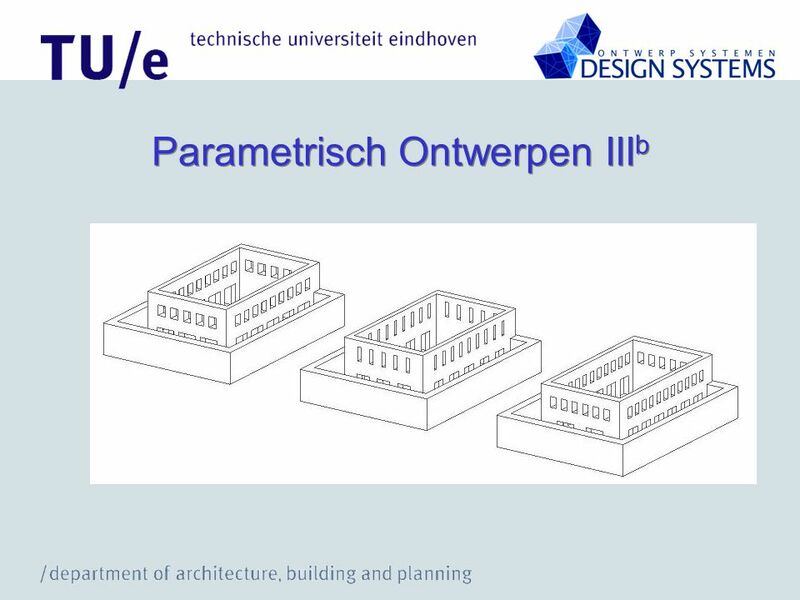 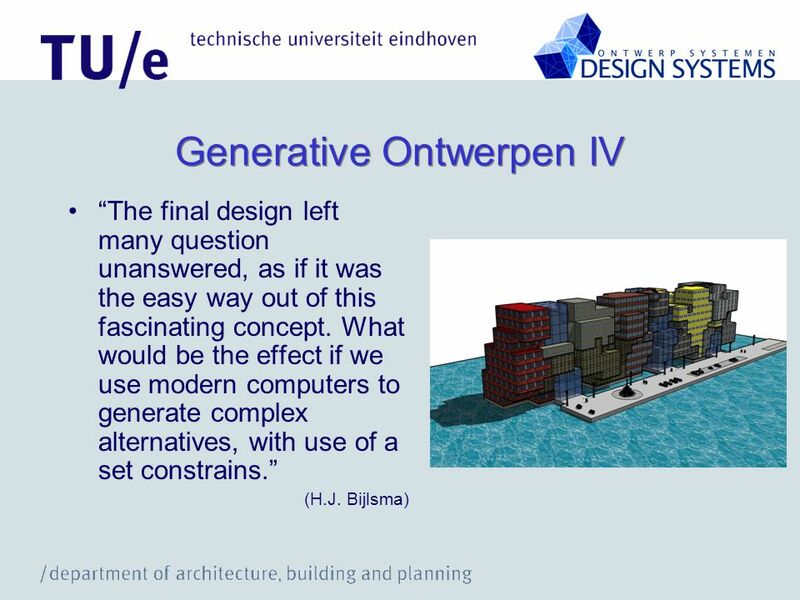 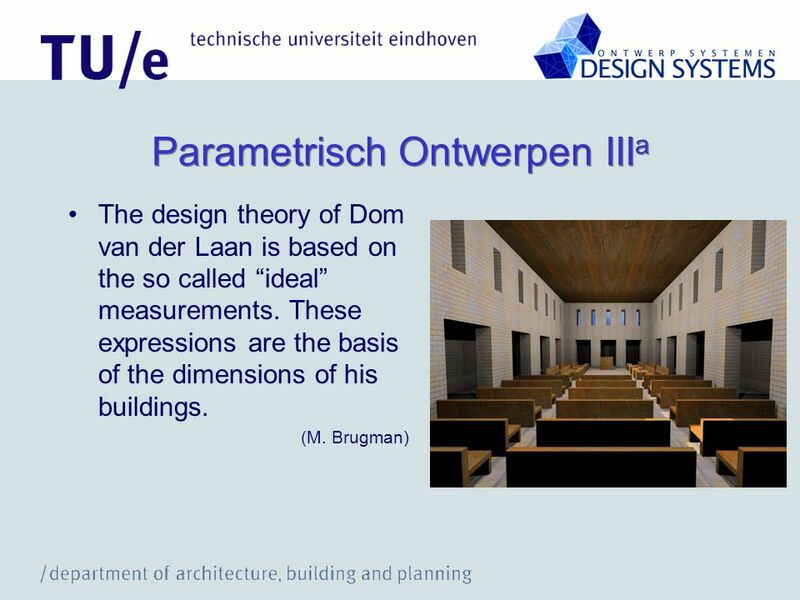 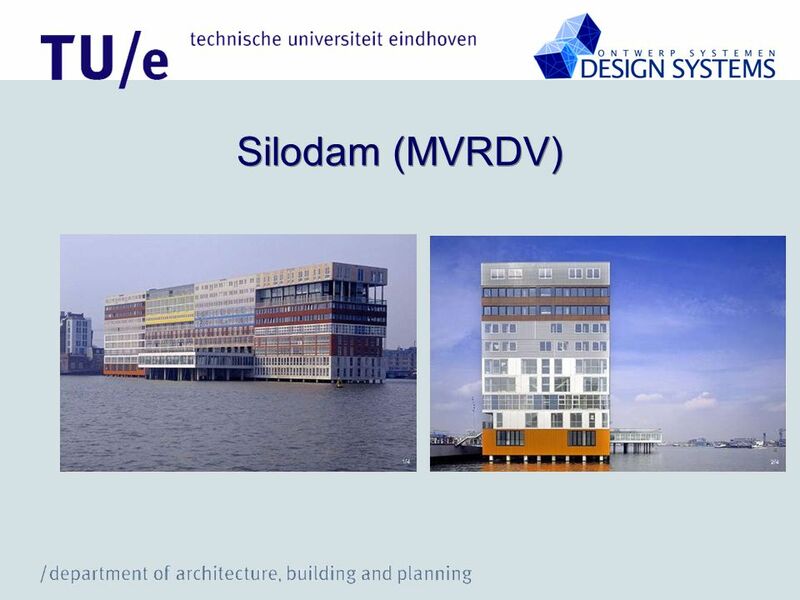 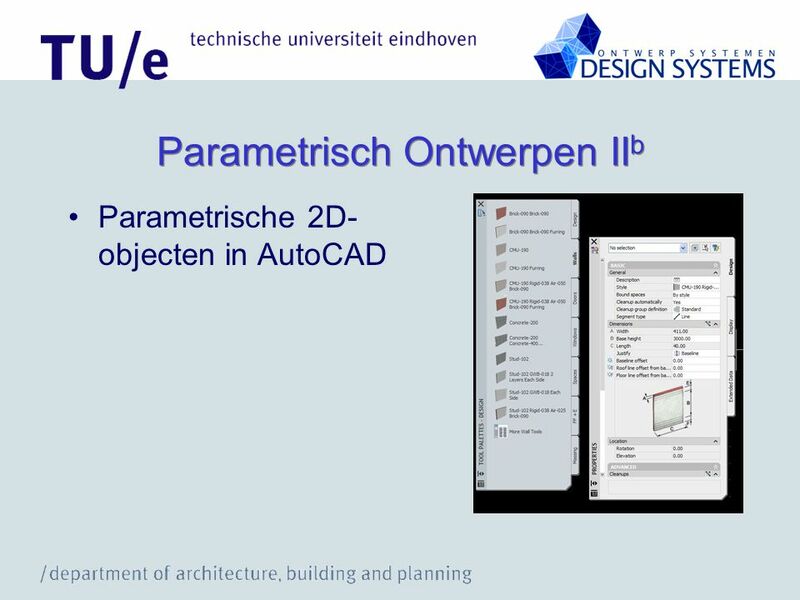 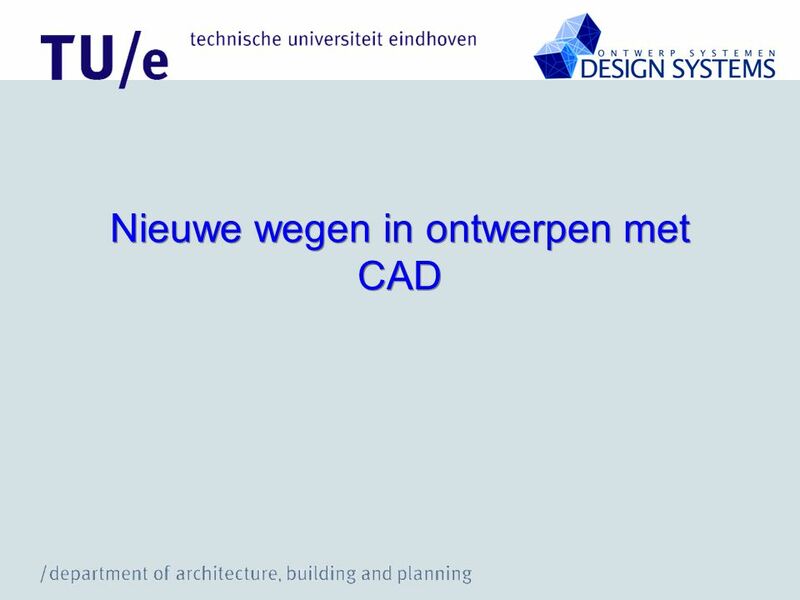 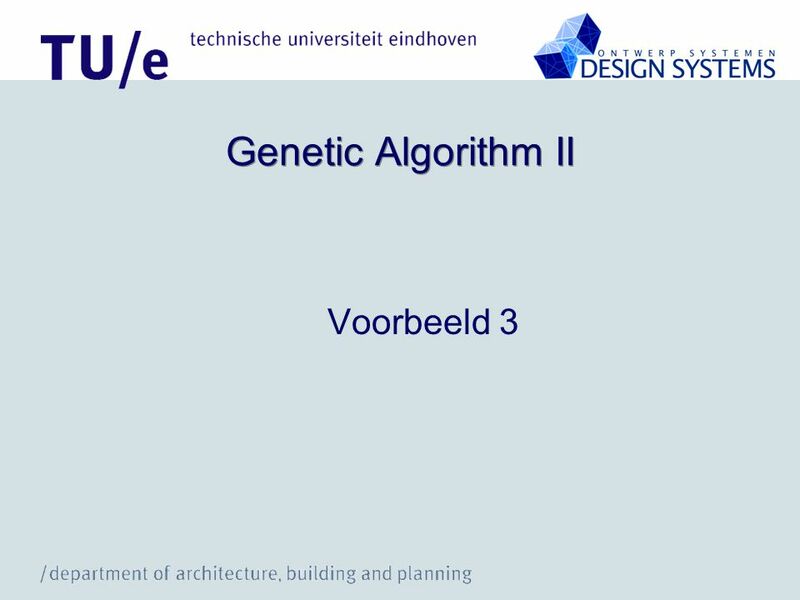 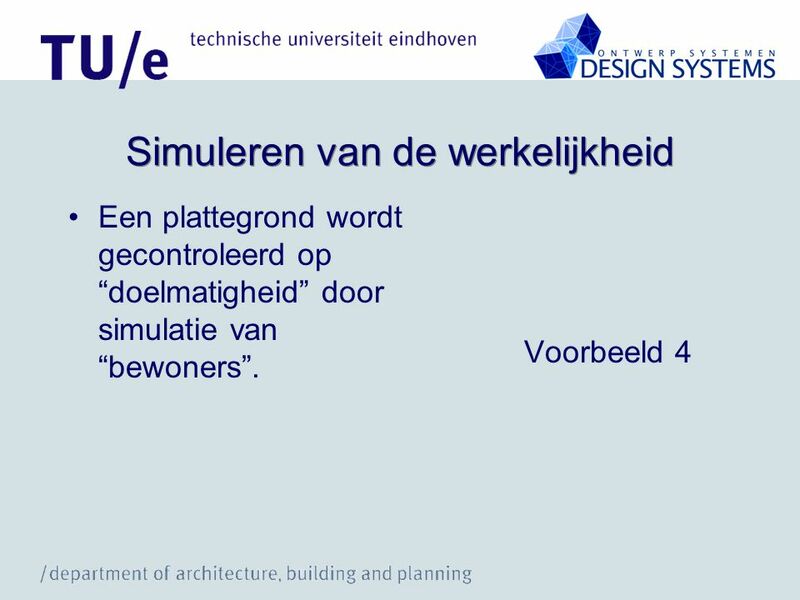 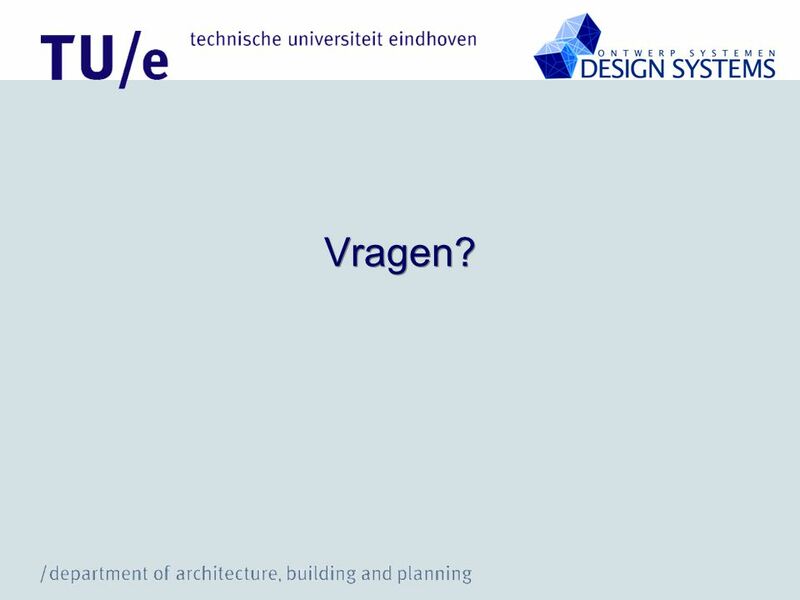 Download ppt "Nieuwe wegen in ontwerpen met CAD"